You may first chose the right currency as in some countries almost everybody is a millionaire. Since we are living in an age of inflated numbers it might be better to step higher to marry a billionaire. 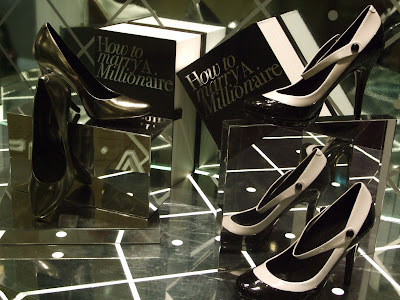 However, street market research informs us that billionaires prefer stilettos making it even harder to walk properly and extremely difficult keeping the balance while climbing up the ladder.